U.S. Rep. Bill Flores called on President Donald Trump's children to leave their positions at the White House. Editor's note: This story has been updated to include a statement from U.S. Rep. Bill Flores to The Texas Tribune. 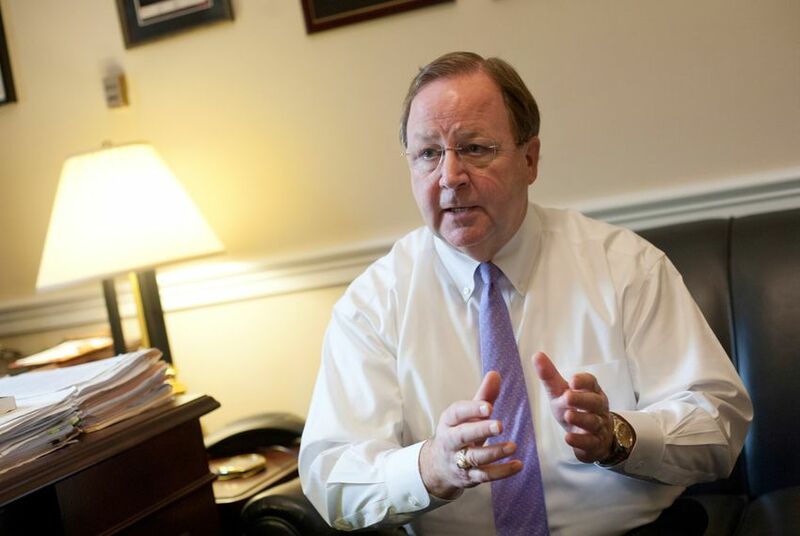 WASHINGTON - U.S. Rep. Bill Flores, a Bryan Republican, called on President Trump to eject his children from the White House in light of continuing revelations over their activities in the 2016 presidential campaign. "I'm going out on a limb here, but I would say that I think it would be in the President's best interest if he removed all of his children from the White House," Flores told East Texas affiliate KBTX Thursday morning. "Not only Donald Trump, but Ivanka and Jared Kushner." Flores was referring to Donald Trump, Jr., who posted on Twitter on Tuesday an email exchange from June 2016 in which he displayed an eagerness to collaborate with a Russian official to obtain damaging information on the Democratic nominee, former U.S. Secretary of State Hillary Clinton. Trump Jr. does not formally work for the White House but Ivanka Trump and her husband, Kushner, are considered some of President Trump's most influential advisers. Kushner, Donald Trump, Jr. and then-campaign manager Paul Manafort ultimately met with Natalia Veselnitskaya, a woman identified as a "Russian government attorney" to discuss incriminating information about Clinton last year at Trump Tower in New York City. "I do find issues with the meeting. It's a meeting that should not have taken place," Flores said of Trump Jr. "I think he thought he was looking out for his father's best interest." Flores later sent a statement to The Texas Tribune expanding on his comments to KBTX. "President Trump is doing a great job and I support his efforts to make America great again," Flores said. "Through no fault of their own, the presence of President Trump's adult children in the White House has caused some distractions from the work the Trump administration is doing on behalf of hardworking American families. Given the liberal media's unwavering scrutiny of the Trump administration, it may be beneficial for the president to do all he can to remove any distractions from the administration so that he can focus on our conservative agenda." "President Trump's family members have been successful running their outside businesses and I am confident that their success will continue outside of the White House," Flores added. Flores' remarks are striking in a larger context. Since Congress returned from a Fourth of July recess period, many GOP members in both chambers have contorted themselves to avoid questions about Trump's relationship with Russia. A special counsel is investigating the matter, along with several ongoing investigations within the Congress. The more immediate matter is whether to impose new sanctions on Russia as punishment. The Senate passed such a measure last month by a near-unanimous vote. The House, meanwhile, is mired in procedural stalemate with both parties – and chambers – blaming one another. White House officials have used that opportunity to lobby for watered down sanctions, according to multiple media reports. Back in February, Flores called for sanctions against Russia as he reacted to the firing of former National Security Adviser Michael Flynn, who resigned after lying about conversations he had with Russian officials.